There are many dietary theories available in the market with their own take on good food combinations to aid digestion and weight loss. Unlike the western view which subscribes a standard food combination despite our individual differences, the Ayurveda approach to correct food combinations is based upon the elements compromising an individual’s constitution: Vata, Pitta, and Kapha. This approach lays emphasis on understanding an individual’s characteristics or prakarti to determine the food combination which suits them best. The Ayurvedic approach to correct food combination is called samyoga which emphasizes the order in which you eat different classes of food. The sequencing of food and right combination helps to create the right digestive environment for proper assimilation of vital nutrients. This approach helps to prevent accumulation of ama or toxins in the body and also help reduce craving for junk foods. According to Ayurveda, every food has its own taste (rasa), a heating or cooling energy (virya) and post-digestive effect (vipaka). 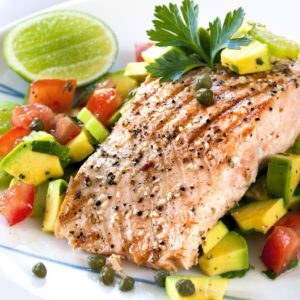 By eating many different types of food in a single meal you can stress your body into producing different kinds of enzymes needed to digest these varied nutrients. Over a period of time, wrong food combinations impact the entire physiology of a person. It can hamper sleep, cause undue lethargy, anxiety, and depression. It can also cause unexplained difficulty in hearing, sudden bleeding in women and severe congestion in the sinus. So it is important to pay attention to the foods that you consume together to make sure that your digestion stays strong and you remain healthy. Even two healthy food items when combined together can go wrong and cause diseases in the body. Two healthy foods, like milk and fish, can be virudha ahaar; incompatible or opposite food items. They might not create immediate problems, but as doshas get accumulated health issues emerge. 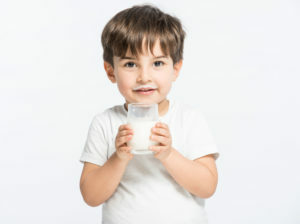 Milk is a complete meal in itself and does not combine well with any other food. It requires a full digestive process of its own kind. Do not have salty and sour items like achar, paratha, lemon and imli with milk. Give a gap of at least 30-45 minutes between consuming the two food types. Milk should not be had with bananas, as the combination is too heavy on the stomach to digest. Milk should not be had with melons as it requires more time for digestion and melon can cause the milk to curdle. Adding milk to tea reduces its beneficial effect on the heart. 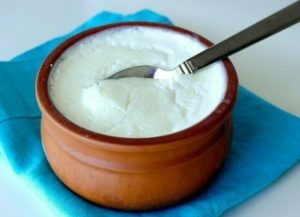 Curd should not be had with milk as is done in lassi. Do not add curd to hot vegetables; wait for them to cool down before addition. Kheer and curd are incompatible. Acidic in nature, curd is heavy and slow to digest. For this reason, it should be eaten at lunchtime and not dinner. 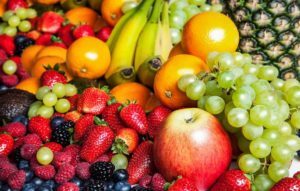 Fruits should be eaten by themselves, as when combined with other food it creates sour and indigestible juices in the body. It is better to eat fruit as a snack in between meals or before a meal, it should not be eaten as a dessert after the meal. Fruit should never be combined with any dairy product like milk or yogurt. Cheese combined with fruit and served as an appetizer has the same harmful effect as that of milk combined with any fruit. The fruit had with ice cream as a dessert after meals are awful for the digestive system. All fruits except citrus fruits can be eaten best in the morning. Meat and milk are virudha ahaar, where the former has heating and latter has cooling properties. When combined they upset the digestive tract and produce toxins. Meat is protein and when combined with carbohydrates like bread and potatoes, they nullify each other’s effectiveness. With each requiring different digestive juices when eaten together, the meat putrifies and the carbohydrates ferments, weakening the digestive system as a result. 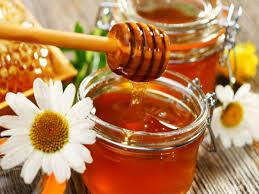 Eaten uncooked or raw, honey has many healing and beneficial properties. But, it can become highly toxic when it is cooked. When cooked or heated, the molecules in honey begin sticking to the membranes, blocking the channels, making honey toxic for the body. Therefore, do not mix honey with hot drinks like tea. Also, do not combine honey in equal quantities with ghee. Water should not be had immediately before or after a meal as that can cause severe bloating. It is advised to have small sips of warm water in between meals to aid digestion. Water should not be had in combination with peanuts, ghee, oil, watermelon, guavas, berries, and cucumber. 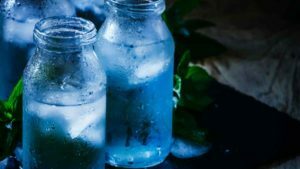 Drinking extremely cold water uses up energy that should be instead used for digesting the food. It is also too shocking for the system. Food changes its complexity after it is cooked and slowly loses its nutrients as it becomes old. Leftover food that has lost its energy proves to be very heavy for the body to digest, especially if it is heated up in the microwave. To retain some of the vitality of leftover food it is advisable to heat it over the stove with the addition of some fresh spices. Rice and vinegar should not be combined. Cooking and heating sprouts kill its nutritional value. Combination of the raw and cooked food is unhealthy. Eat raw salad and sprouts before the meal. Avoid eating fresh food with left-over food. Instead of mixing protein and carbs in a meal, combine protein with vegetables for maximum benefit. Tomatoes are highly acidic foods and are difficult to digest when paired with carbohydrates and dairy, which includes most pasta dishes. Though fruits should not be had with milk, mango combined with milk is both healthy and tasty. Eating dates with milk are good for health. Cardamom added to banana is a good food combination. Rice added to curd cools an aggravated digestive system. Sugar added to melon enhances its taste and nutritional properties. Having cooked fruit like stewed apples is a great way to stimulate the intestines. Certain spices and herbs can reduce the incompatibility of food. Combining incompatible food in correct ratios can reduce their toxicity. If foods with different qualities are cooked together, they blend with each other and reduce the effect of bad food combinations. Eating food in the correct order is important. Foods that can cause a cough should be eaten before acidic food. Chew your food well to enable the enzymes in the saliva to break the food down for easy digestion. Never completely fill up your stomach. Divide your meal into one-third food, one-third liquid, keeping the remaining one-third empty. Eat the largest meal at lunch when “Agni” is fired up and there are many daylight hours to digest the food. In Ayurveda, food incompatibility takes into consideration the time of the day at which the food is eaten, the order in which they are eaten and what other food items are eaten together with. Strengthening the “Agni” is at the core of Ayurvedic way of eating and at the heart of the solution to reduce the impact of bad food combinations. Therefore, ensure that you include right food combination while planning your meals. Our content is for informational purpose and for personalized diagnosis and treatment send us an email on support@soulguru.com.